Vessel Can Load/Discharge 3 grades with double valve segregation. Cargo control room on bridge, tank innage / ullage can be read from the cargo control room. 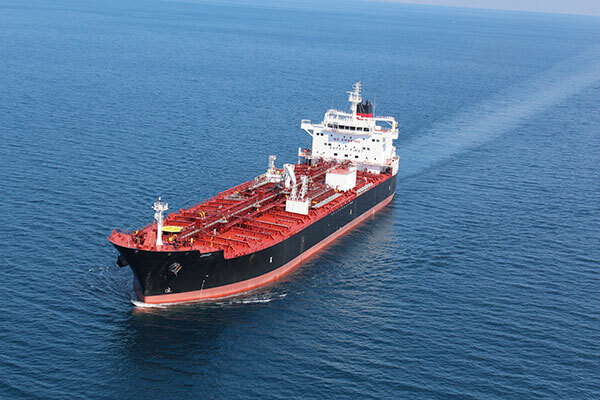 The vessel complies with latest edition of OCIFM recommendations for oil tanker manifolds and associated equipment. 3rd layer interline 704 off white. Vessel complies with latest edition of OCIFM recommendation for equipment employed in the mooring of vessels at single point moorings. The vessel complies with recommendations contained in OCIMF/ICS ship to ship transfer. The boiler is for cargo use only. The vessel no need to use the boiler.